Rex Heat Treatment has purchased a 15 Bar Vector® vacuum furnace from SECO/VACUUM Technologies for their commercial heat treating facility located in Lansdale, Pennsylvania. “We selected the Vector systems because of the versatility of the equipment and its ability to handle a wide variety of applications and part processing,” stated Johnathan Rex, General Manager. “In order to better serve the greater Philadelphia heat treating market, we created a newly upgraded climate-controlled vacuum heat treat bay, specifically to house the new equipment and efficiently manage customer orders,” he added. The equipment was purchased for processing components for customers involved with tool and die, aerospace, and gears, however due to the broad range of materials and processes available with the Vector system, Rex Heat Treat expects to expand their operation with this investment. 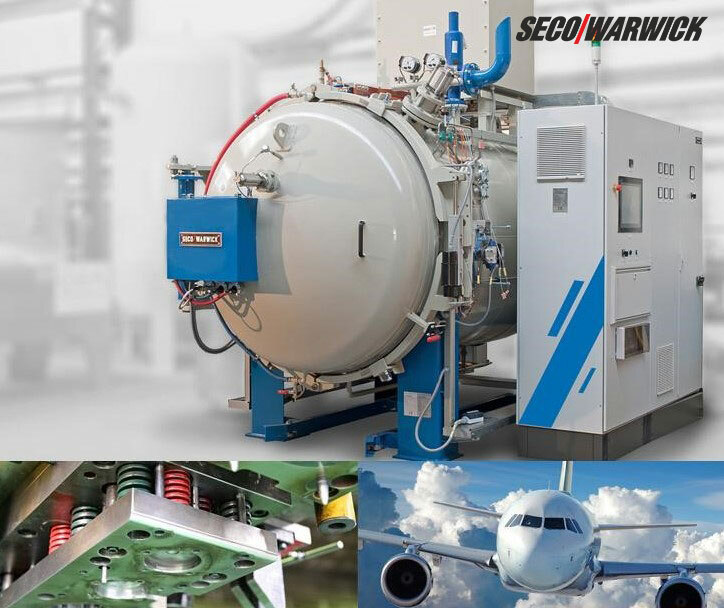 “We welcome Rex Heat Treat as our technology partner and welcome the opportunity to provide cutting edge technology and professional technical services to a leader in commercial heat treating,” said Bill Warwick, vice president of sale for SECO/VACUUM. The Vector single chamber vacuum furnace is the most popular gas quenching vacuum furnace design in the industry. The Rex Heat Treat system will be used for through hardening, tool and die steel processing, high temperature solution nitriding, annealing and vacuum tempering. The Rex Heat Treat furnace will be equipped with patented PreNitLPC and FineCarb technologies for low-pressure vacuum carburizing for increased productivity via faster cycle times and higher processing temperatures. The furnace will be equipped with a 15 Bar and 6 Bar argon quench for greater versatility. This configuration is ideally suited for processing automotive, defense, aerospace, and tool & die steel components. The new system is scheduled for delivery by the end of the first quarter, 2018.